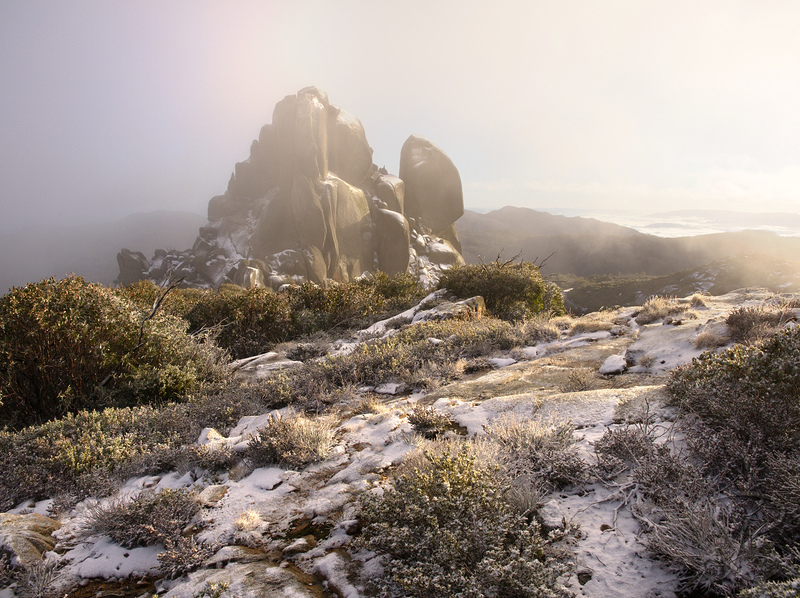 When I visited Mount Buffalo national park in Australia during this sunrise I had rapidly changing conditions, everything was engulfed in fog and only every now and then the fog drifted away and opened up the view towards the spectacular granite tor of the Cathedral. 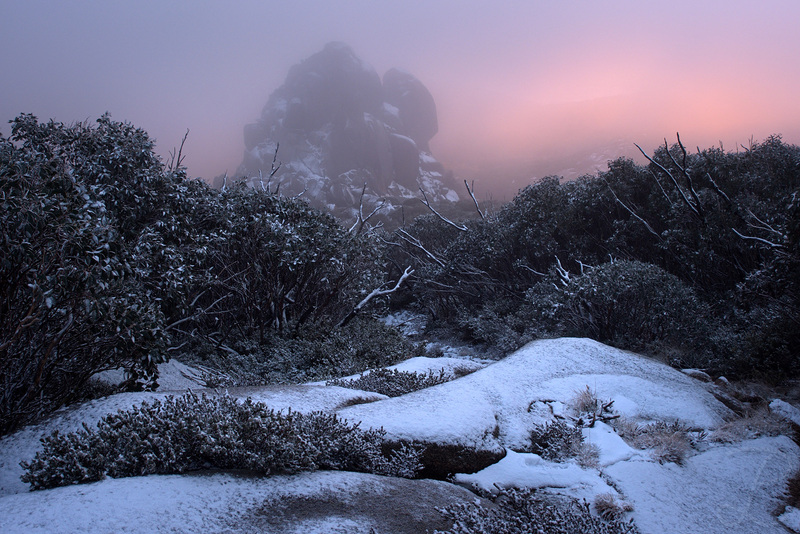 It was still a spectacular morning although the warm sunlight came through pretty late. 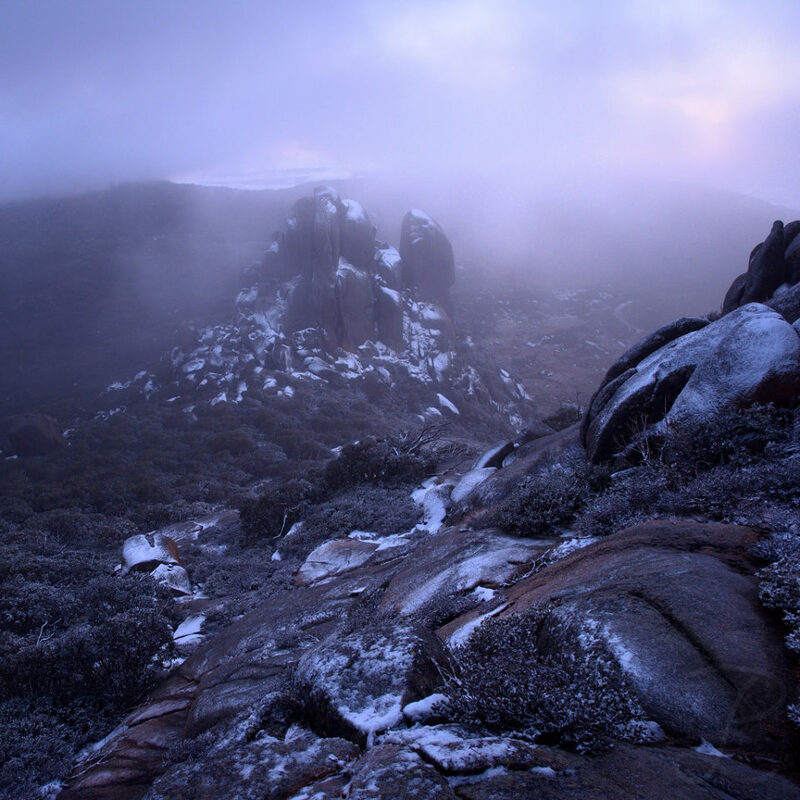 The spectacular granite tor of the Cathedral (located in the Mount Buffalo national park, Australia) had a really majestic appearance in the first light of this very morning after being completely hidden in fog earlier. After a rather cold and foggy morning - with very limited sight - seeing and feeling this warm sunlight was pure bliss! 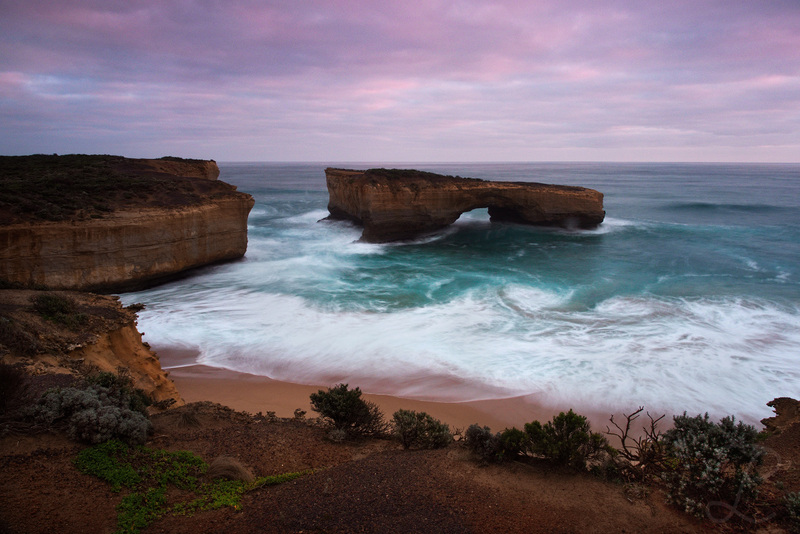 This is another shot from the Great Ocean Road in the south of Australia and another example of the beauty that comes from erosion caused by the constant moving sea. 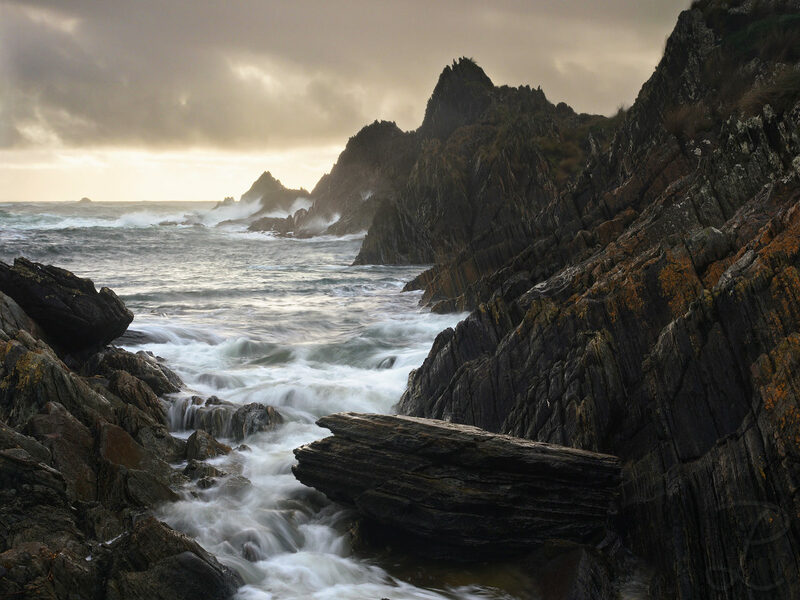 When I visited the westcoast of Tasmania there was very stormy weather for a whole day, an hour after taking this picture there was lashing rain. This place really caught my attention because of the bizarre bushes and rocks, I'm not even sure if I was able to do the scenery justice with this picture. When visiting Sarah Anne Rocks in Tasmania those white trees caught my attention. 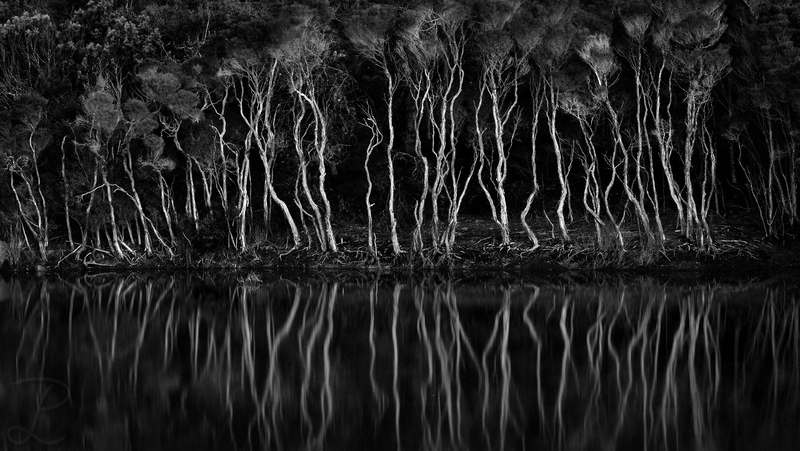 The standing trees and the cut down trees form interesting regular and chaotic structures. 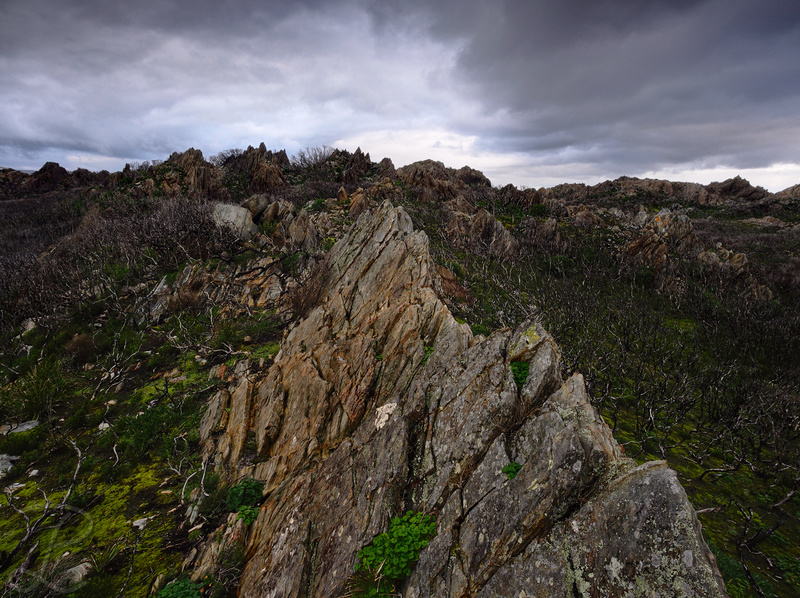 This is another one from the rough west coast of Tasmania. Taking this picture at the coast took place after taking "Storm Incoming" where the storm clouds were already close to the coast. When I started taking photos of the coast rain literally came from all sides, I was constantly busy wiping the front of my lens. While shooting in this kind of weather is a kind of pain, it mostly comes with dramatic clouds and the weather suited this wild location quite well. I eventually gave up after all my microfibre cloths and my own clothes were completely drenched. 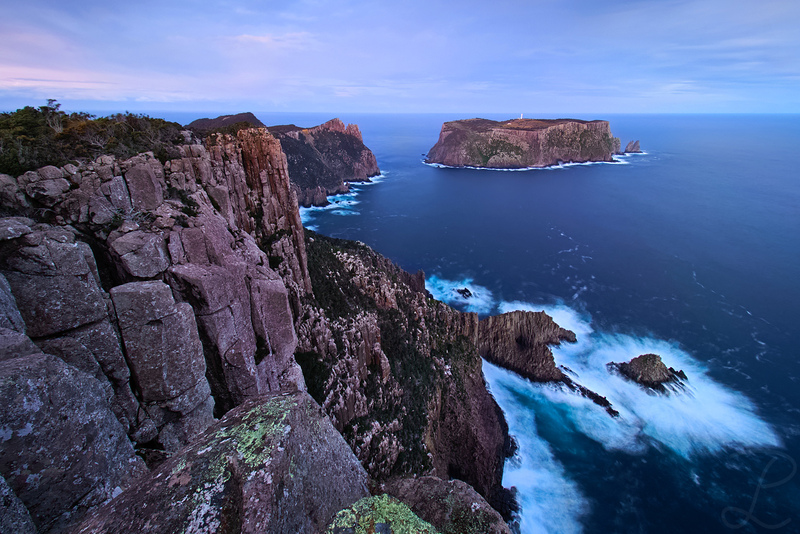 Hiking to this place on Cape Pillar in Tasmania was quite exhausting and even though we were hiking pretty fast to be in time for sunset we just missed the best part of it by 10 or 20 minutes. The sky was literally burning in red and orange tones but the only thing we could do was to keep hiking to eventually reach the place where we wanted to shoot. This is a soothing blue hour shot with a little bit of decent afterglow. I have to say it felt quite the opposite when I was standing on the cliff taking this shot while being exposed to strong wind, it was quite scary. 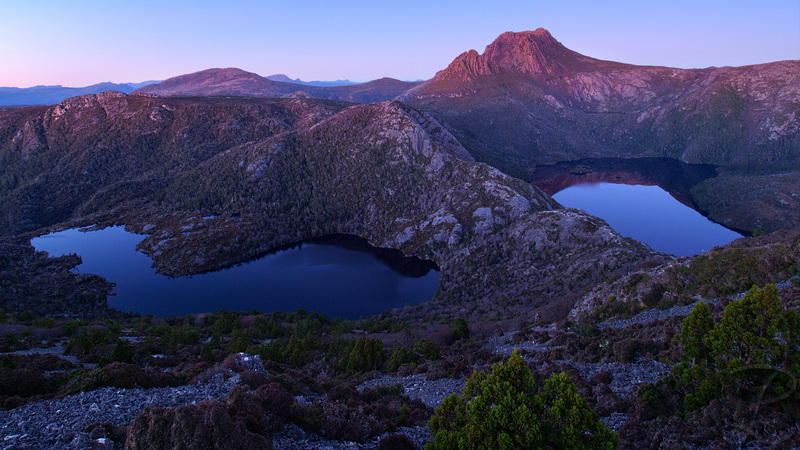 This was a quite and peaceful morning in front of the beautiful Cradle Mountain on Tasmania with Hanson Lake on the left and Dove Lake to the right. Hiking in the Cradle Mountain national park is a real pleasure, it has fairly easy hikes and offers dozens of nice views! Overlooking the Mt Buffalo national park and parts of the Alpine National Park, the mountain Mount Bogong in the back is the highest mountain in the state of Victoria in Australia. I was visiting during winter season and was surprised that only the highest peaks were covered in snow, however already the next day we got a little bit of snow in the Mt. Buffalo national park. 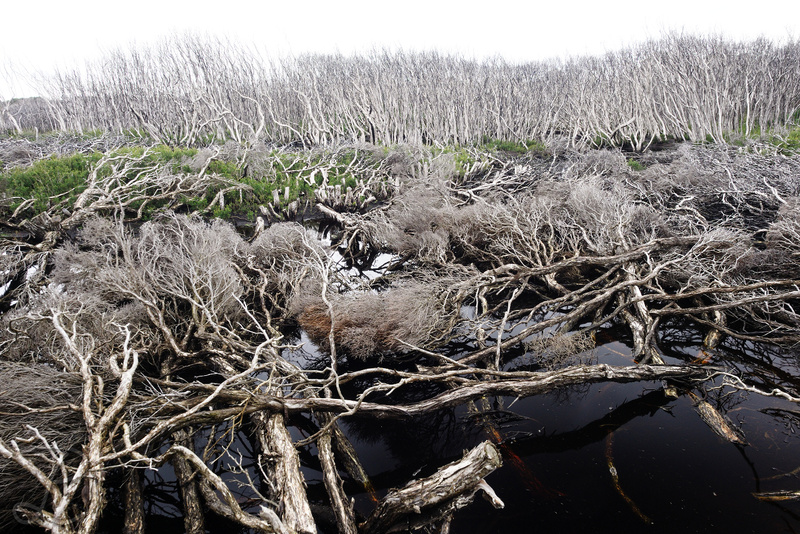 On my journey through Tasmania I encountered and was fascinated by countless bizarre looking trees. I really enjoyed that distinct flora the island has to offer, sometimes it looked so different to the flora I'm used to in Central Europe. Because of the characteristic shape of those trees, it looks like they have a human-like appearance in this picture, much like a crowd of people interacting with each other. 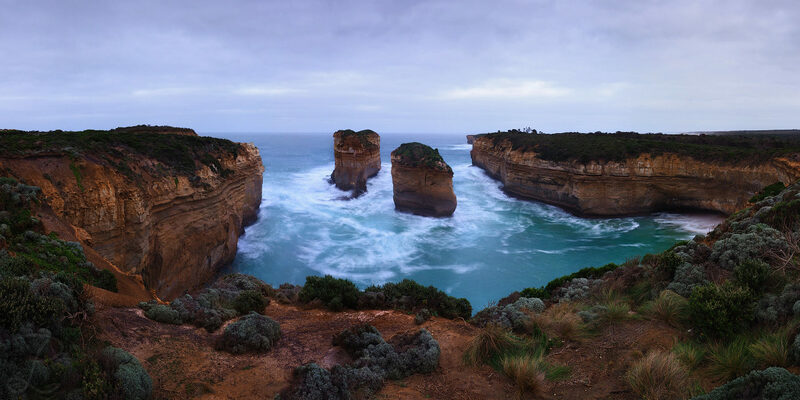 Finally I made my way to the Great Ocean Road in the south of Australia and this was how I was greeted on that very morning, not the best conditions but at least the sea was wild! Watching the erosion process through the sea is quite interesting, it made the coast as interesting as it is now, but it also destroys its previous creations in the same go. It's in steady change, like life. New creations are only possible after sacrificing old ones. This interpretation helped me to move on after recent struggles to give up on the past. This entry was posted in Aerial Photography, Nature & Landscape, New Pictures, Travel and tagged australia, tasmania on 05/06/2018 by phil.